Are there yeti's in Nepal? 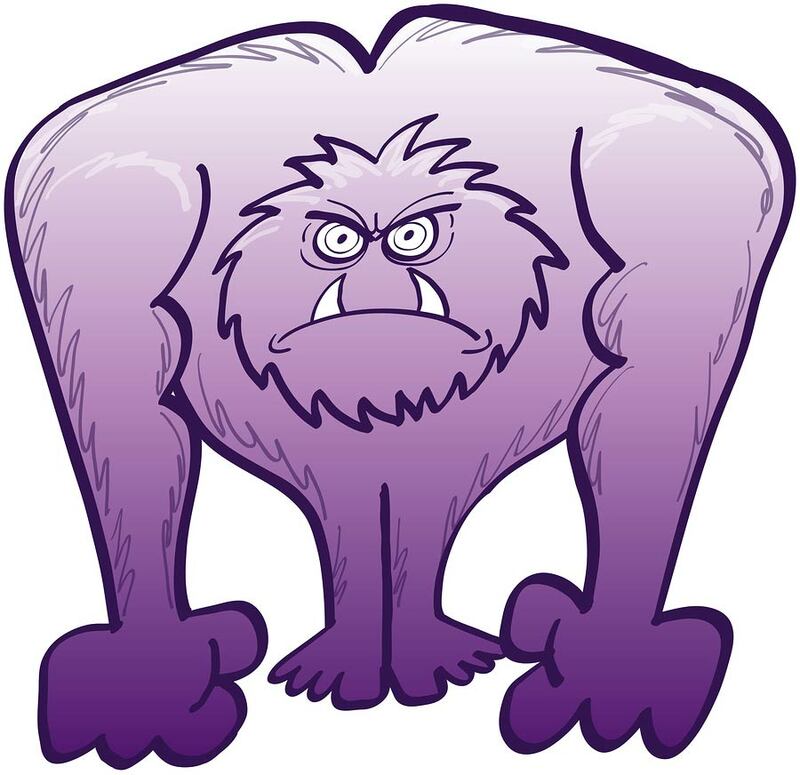 Are there Yeti in Nepal? Legends of strange creatures in the land have captured the imagination of many throughout the years. From “adorable” to “abominable” the question of the Yeti (mountain man aka snow man) has inspired and haunted many. Enough reported sightings have keep interested parties searching and continue to draw interest. In 1925, N. A. Tombazi, a photographer and member of the Royal Geographical Society, writes that he saw a creature at about 15,000 ft (4,600 m) near Zemu Glacier. Tombazi later wrote that he observed the creature from about 200 to 300 yd (180 to 270 m), for about a minute. “Unquestionably, the figure in outline was exactly like a human being, walking upright and stopping occasionally to pull at some dwarf rhododendron bushes. Multiple accounts have made similar claims, such as this reported (Wikipedia: Yeti). In 1953, Sir Edmund Hillary and Tenzing Norgay reported seeing large footprints while scaling Mount Everest. Hillary would later discount Yeti reports as unreliable. In his first autobiography Tenzing said that he believed the Yeti was a large ape, and although he had never seen it himself his father had seen one twice, but in his second autobiography he said he had become much more skeptical about its existence. Is there substance to the claims? Some believe that the sightings are actually of the Tibetan Blue Bear or the Himalayan Brown Bear. Evidence of Yeti in Nepal? 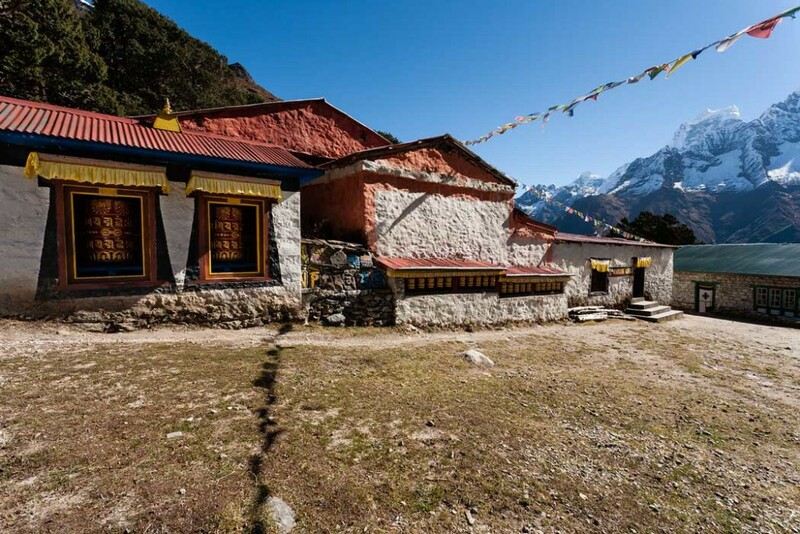 The Khumjung Monastery in Nepal holds a furry scalp that is said to be from a Yeti. For the adventurous, Khumjung is a great place to visit in Nepal. It is near the Hotel Everest View, a stunning hotel with even more stunning views of Everest (when not cloudy). The hotel can be reached via trekking or helicopter. The Yeti scalp at the monastery has an interesting connection to Sir Edmund Hillary, who sent the scalp for testing. Unfortunately for Yeti enthusiasts, the tests suggested that the hair was from another animal (the Himalayan serow). …the Asiatic black bear, when about two years old, spends much time in trees to avoid attack by larger male bears on the ground (‘ground bears’). During this tree period that may last two years, young bears train their inner claw outward, allowing an opposable grip. The imprint in the snow of a hind paw coming over the front paw that appears to have a hallux, especially when the bear is going slightly uphill so the hind paw print extends the overprint backward makes a hominoid-appearing track, both in that it is elongated like a human foot but with a “thumb” and in that a four-footed animal’s gait now appears bipedal. This “yeti discovery”, in the words of National Geographic Magazine editor Bill Garrett, “[by] on-site research sweeps away much of the ‘smoke and mirrors’ and gives us a believable yeti”. …take a picture and run.